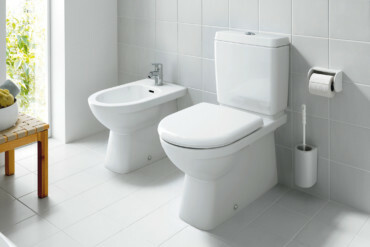 Laufen's sanitary ware has acquired an outstanding reputation thanks to the groundbreaking materials it has developed. 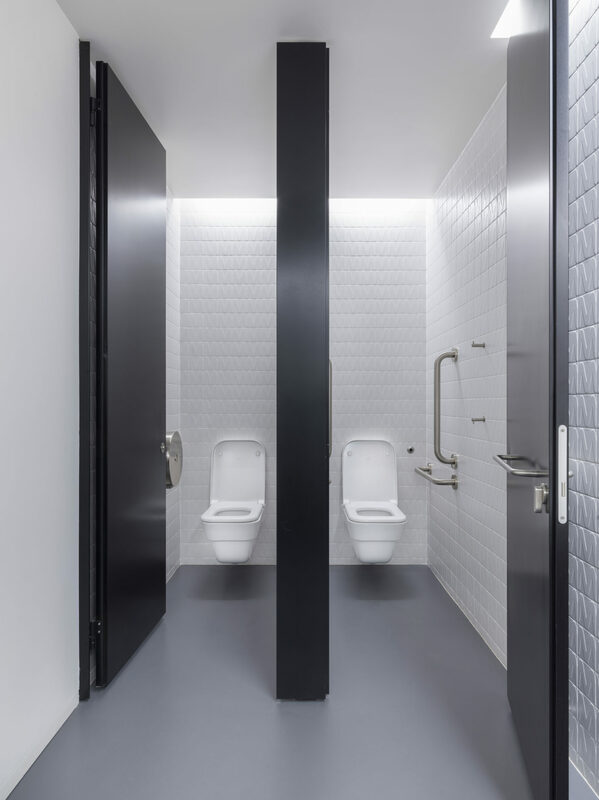 The WCs “Moderna Plus” and “Moderna R” models were used for the extension to the Tate Modern in London that recently opened. The impression of simple materials, which creates a feeling that is calm and cultivated in equal measures, is repeated throughout the building. 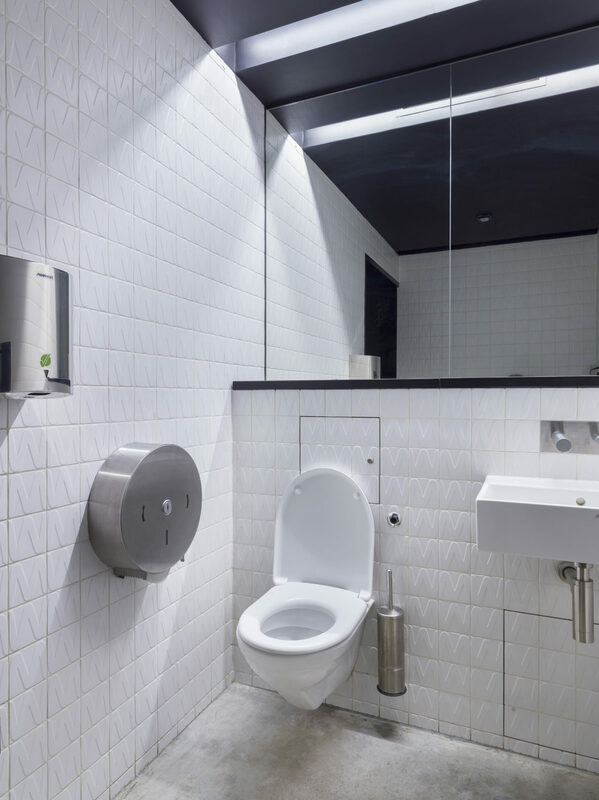 The men’s toilets have been fitted with wall-mounted “Moderna Plus”. Although it was originally designed for two million visitors a year, the Tate Gallery of Modern Art in London has turned out to be a crowd-puller: In 2015 alone, what is now the world's largest museum of modern art attracted more than five million visitors. 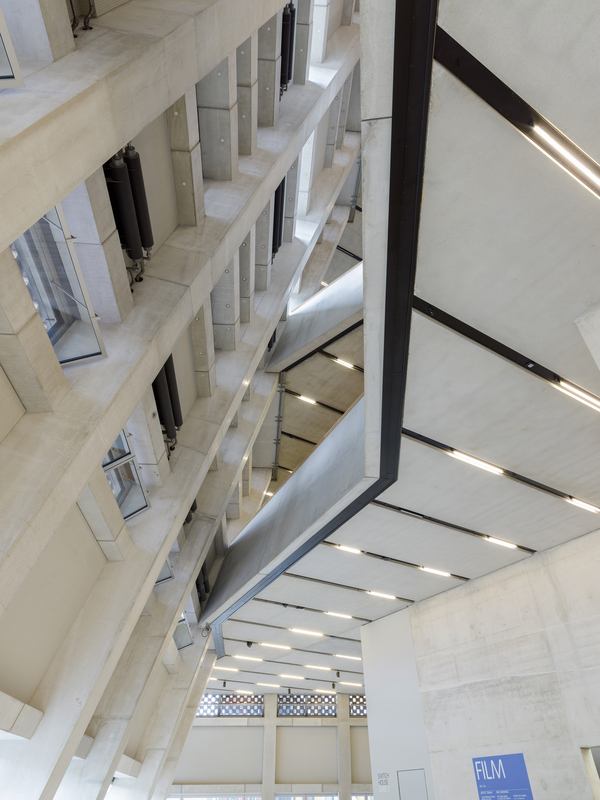 Which is why Swiss architects Herzog & de Meuron, who converted the power station on the south bank of the Thames into an exhibition location, designed an extension, which opened in June 2016. Two oil tanks belonging to the plant’s former transformer station form the base. Towering above this is the “Switch House” – a twisting, pyramid-like tower, its façade clad with 336,000 bricks with only narrow slits for window. The extension's 10 stories are connected with the original building by means of a bridge. 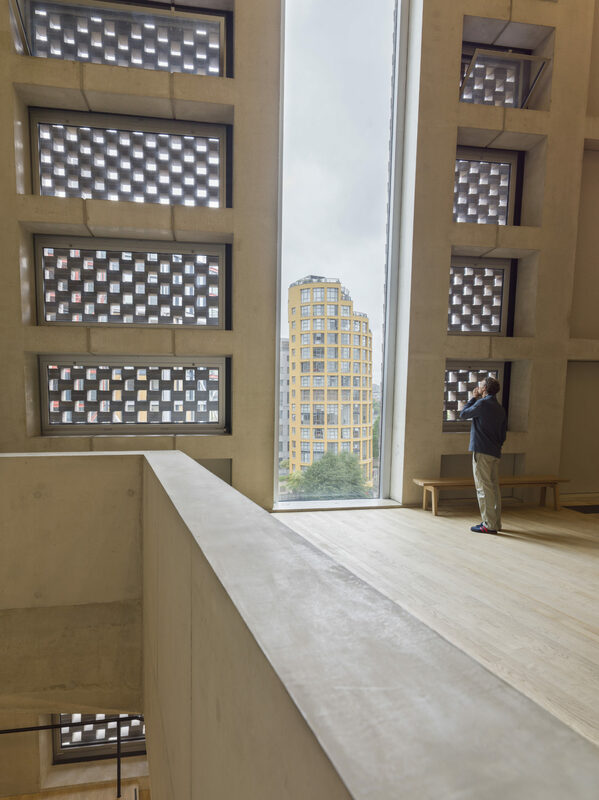 And for the interior fittings the architects used the kind of materials that are typical of industrial buildings: The walls are made of rough fair-faced concrete, the floors of unsealed oak. The resulting impression, both calm and cultivated, is reflected in the edifice as a whole. Sanitary ware by Laufen was chosen for the WCs. 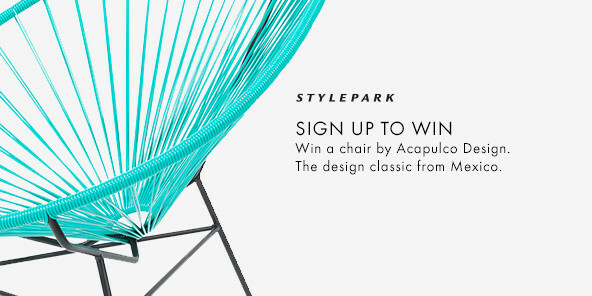 Founded in 1892, this Swiss company is considered one of the leading porcelain manufacturers. 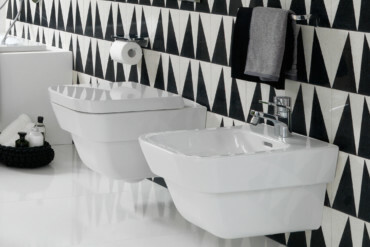 In 2013, with Saphirkeramik, Laufen launched a new kind of bathroom material. Corundum was added to the product's ceramic, making the it harder. This allowed the products, with their thin walls and tight radii, to be even more economical with materials and made them more environmentally friendly. The Tate Modern extension spirals up into the London skies like a twisted pyramid. 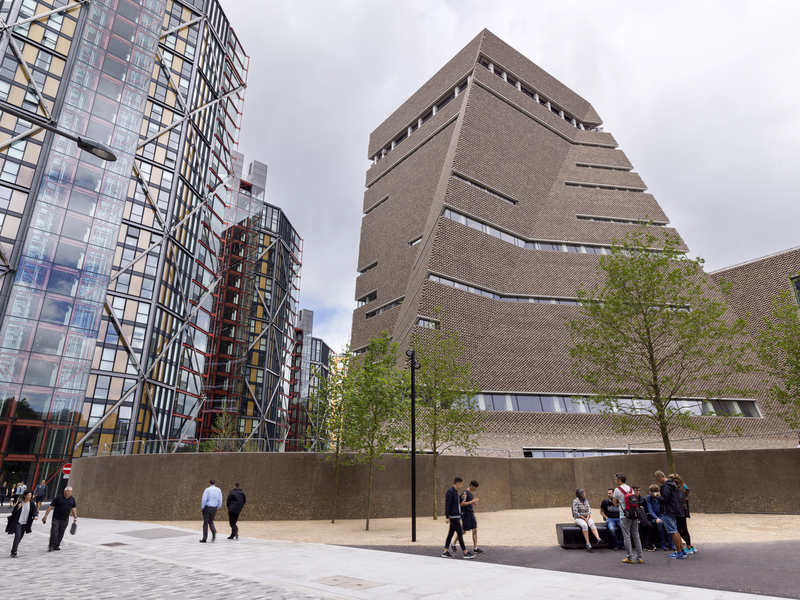 The building, clad with 336,000 bricks and designed by Herzog & de Meuron, opened in June 2016. Visitors can let their gaze wander across the Thames and the London skyline through tall, narrow window openings. The extension extends over 10 stories and boasts a multitude of corners and edges. Two converted underground oil tanks belonging to this former transformer station form the base of the “Switch House”. 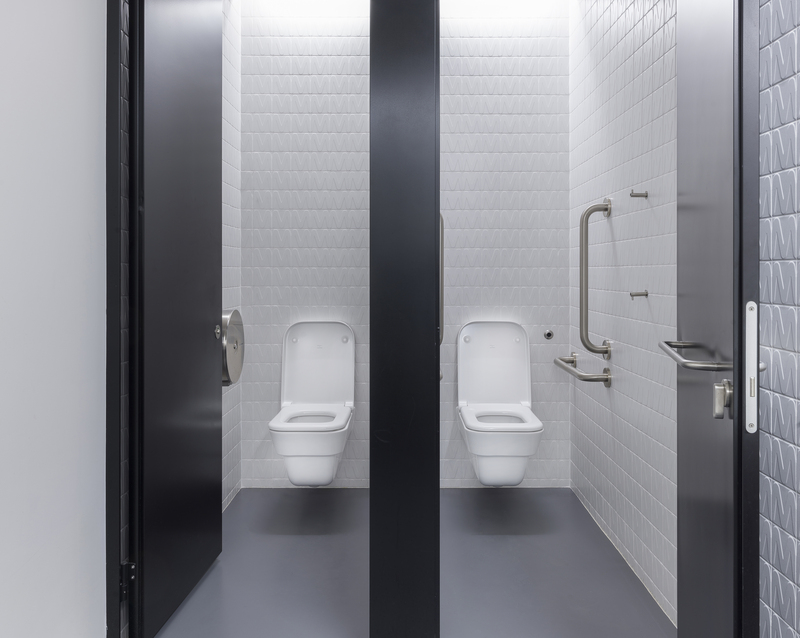 The lines of the “Moderna R” model used for the ladies’ toilets are slightly more rounded. 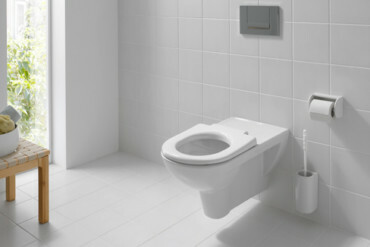 The sanitary ware was created by Peter Wirz, a Swiss designer. 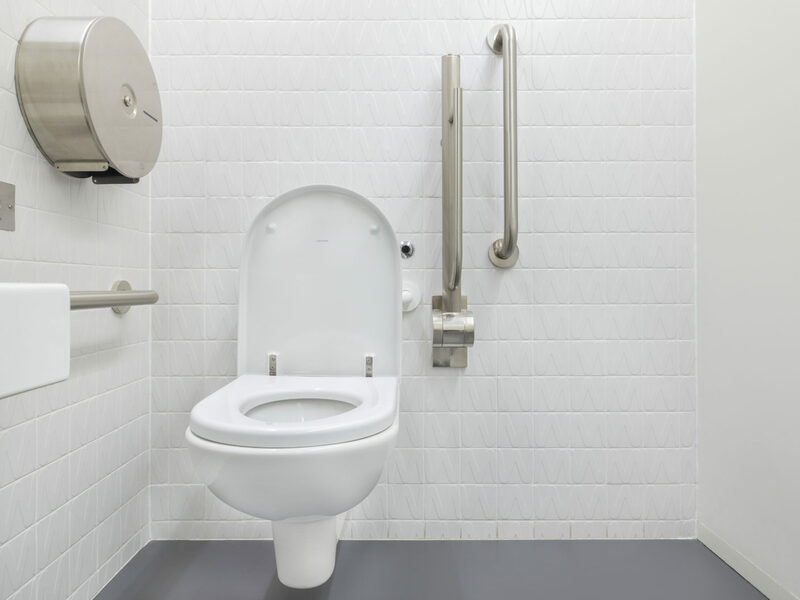 The toilets for the disabled are also from the “Moderna” line. The wall-mounted “Moderna R Liberty” is further away from the wall.